The subject of reincarnation, or as some prefer, rebirth, is a vast one and in its simpler terms easy to understand and, equally, to believe. Rather like the translation of UFO experiences so that our brain will not expand itself suddenly to cause a cosmic glimpse of reality that could be detrimental to the unprepared recipient, then so too has our understanding of reincarnation had to be presented in a fashion that we have a better chance of feeling comfortable with. For those who may dare to stretch their own comprehension a little further outward, I will share my own inroads into how an alternative understanding of reincarnation announced itself as being the one true rebirth, that of planet earth, drawn from my own experience and research, treading a solitary and lonely DNA path and receptivity to Tibetan Kalachakra (‘Time Wheel’), to continue an earlier World Mysteries feature ‘The Maitreya Code –Planetary Treasure of Tibet’ in which I revealed Buddha’s hidden teaching and how Tibet functions as the brain centre of our planet. Not only will I endeavour to escape you from you own daily consciousness but I will introduce you to a strange karmic link involving the two most famous escapees in history, one you will not be surprised with, for he is already associated with reincarnation as a core belief, though he does not recall any of his own previous thirteen, but the other personality might surprise you, even though I will attempt to demonstrate, using my usual tool of the Lost Mother Tongue, parallel themes in their individual stories. But first, I tell a little of my own. With Superman, it was the reoccurring of the initial LL in his life – Lois Lane, Lana Lang, Lori Lemuria and Lex Luthor. 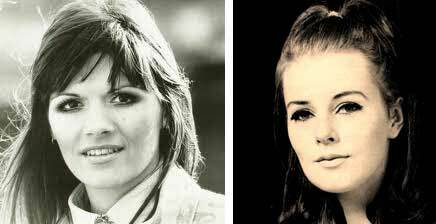 My DNA thread, however, at various points along its unfolding blue print, brought to my attention the reoccurrence of the word ‘Ling, ’my own Lois and Lana first manifested surfacing with teenage chemical reaction in 1972 when I was drawn to the dark haired singer in the British based pop group The New Seekers, Eve Graham. Destined to be an authentic ‘Seeker’ I should have spotted the relevance of the band’s name, but to give this lady her full name of Evelyn Graham, we spot ‘Lyng’ in the midst of Eve LYNG raham. The fact that from the Teutonic ‘Graham’ means ‘warring’ – warfare, battles or campaigns – gives an indication of what is to come. ‘Ling’ returned again, this time more noticeably in 1974 by way of my interest in Abba superstar Annifrid Lyngstad, now a German Countess, whom I eventually made contact with in Switzerland in 1992 inviting her involvement in an intended European movie entitled ‘Zeitgeist’ which didn’t make it beyond the script stage although another film with the same title did in 2007, opening with audio quotes by Tibetan lama Chogyam Trungpa. Tibet merged with my life in 1977 when I felt inclined to stay at the Monastery at Samye-Ling in Dumfries, Scotland, mixing company with authentic refugees Lama Akong Rinpoche, who along with Chogyam Trungpa founded the Centre. When I met rock star David Bowie in 1978 I was unaware that he too had visited Samye-Ling eleven years earlier and for a short while engaged Lama Chimi Rinpoche as his Teacher. 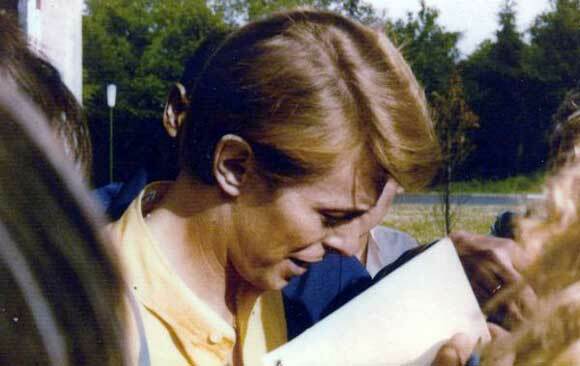 In 1997 Bowie had his own ‘ling’ encounter when he recorded a track ‘Seven years in Tibet’ on his Earthling album. My rendezvous with him appears overall to have been destined as a further consolidation reinforcing my DNA connection with the influence of Tibetan lamas, and to this very day I have my friend Lama Lhakpa Yeshe whose sandaled feet for karmic reasons led him to Lincoln in England, a city I myself had been drawn to twice before finally settling a third time, and phonetically one cannot help enunciating ‘Ling’ in the pronunciation of ‘Lincoln’. My first encounter with Tibet had been a fascination with their flag when I collected the set of bubble gum cards ‘Flags of the world’ at the age of ten. Of all the 144 cards this was the one that held my attention. 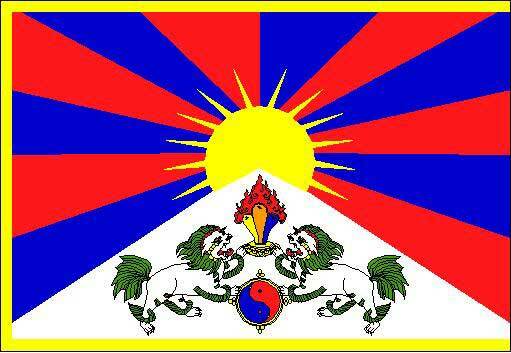 It is also known as the ‘Snow Lion Flag’. The last time I visited Samye-Ling was in May 1994 when I met the exiled God-King the Dalai Lama’s on his only ever visit there. Now, I must return to Dumfries in word only, for it was here in December 1745 along with his troops it was visited by another exiled king who figures in my twisting DNA thread, that of Bonnie Prince Charlie. Samye-Ling was originally centred around just one building, johnstone House, and it was James Johnstone, a Jacobite army officer, who is most notable for his memoirs of the 1745 Uprising. Interestingly enough, the most famous Scots poet Robbie Burns died in Dumfries, his most oft recited poem being that of ‘Auld Lang Syne’ meaning ‘Old times gone by’, the origin of the word ‘ling’ argued to come from the Old English ’lang’ meaning ‘long’. 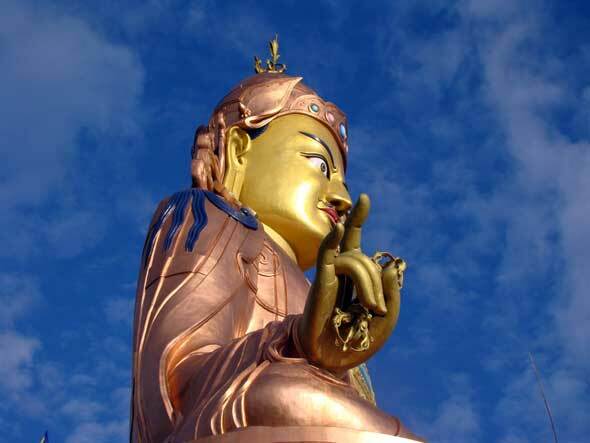 The Samye-Ling Tibetan Centre in Dumfries is nearest to Langholm! 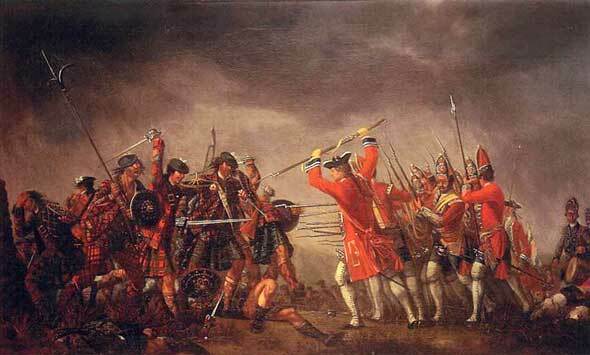 I would be about 28 when perusing through a book in the public library I suddenly came across an illustration showing the slaughtered Jacobite army upon the battlefield of Culloden, having been outnumbered 9,000 to 6,000 by the Duke of Cumberland’s redcoats. Without any warning a strong emotion welled up within me, my eyes starting watering and I realised much to my embarrassment in a public place that I was crying. Why? I knew next to nothing about this most dramatic of encounters in history, the displaced Bonnie Prince’s attempt to win back his rightful crown also being one of the most romantic episodes in history. It was time for me to find out more, and what a shock lay in store. Reading a number of biographies of Charles Edward Stuart, the Young Pretender, proliferate with plates and illustrations, I saw how my mother, father, and four of my immediate friends all looked like Charles’ parents and close inner circle. If that wasn’t enough, I read how many key events in his life had more than a passing semblance to that of my own, and much of his personality also paired up including physical appearance at various stages of my life. I also have a ‘reincarnation mark’ on my left leg, and in Sanskrit ‘Ling’ means a mark or sign. People around me offered up the only explanation they could think of, this was a clear case of reincarnation. 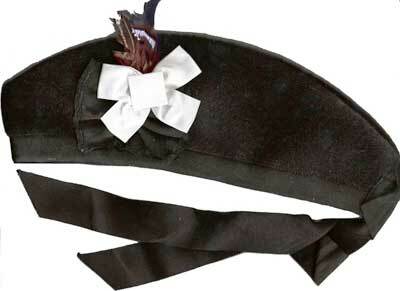 I had been Bonnie Prince Charlie? Thus far I have shown how Scotland’s most enduring legendary figure and all things Tibetan have entangled in my life, and with that it is time to attempt to explain how and why, for although those around me scream ‘reincarnation’, I don’t! 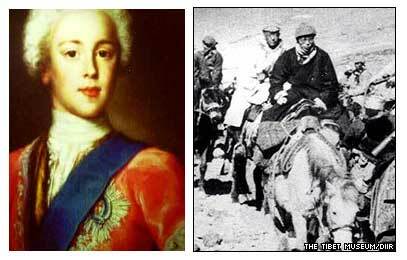 Firstly, we are going to look at the hidden parallels concerning the prime figures in this drama, The Dalai Lama and Charles Edward Stuart, and how both have their ‘Ling’ connections, to show how these skeins of thread in this spider’s web pull together. Much of the history of Scotland has been played out at Stirling Castle and it was here in 1745 that Bonnie Prince Charlie made a ‘Ling’ connection’ when his Jacobite army took the town but failed to lay siege to the Castle. One of the better known books chronicling the flight of the pursued Bonnie Prince from Scotland is that of ‘The Prince in the Heather’, and I point this out as ‘ling’ is also another name for the shrub Heather, as well as meaning ‘Heath,’ and when I first came to Lincoln I worked at an Autism Centre called Heath Farm! Furthermore, the author of the book has for me the wonderfully ironic name of Eric Linklater…’link later’! Tibet connects with ‘Ling’ perhaps more demonstrably when we learn of King Gesar who ruled the ‘Kingdom of Ling’ in Eastern Tibet eight centuries ago, the word in its own language means ‘Place’. However it also has an entanglement with our inherited understanding of what I am here to ultimately discuss, reincarnation, for it was the wandering Indian sage guru Padmasamabhava, known as the Second Buddha, who was responsible for composing in the 8th century and bringing to Tibet what was to become their ‘Book of the Dead’, it being the most respected and studied manual for affirmation, lately even scientific, of the process of rebirth. Deliberately buried in hills in central Tibet for centuries, it was eventually discovered by a Master, Karma Lingpa – we have another very significant Ling! Within the name Padmasambhava, we find ‘sambha’, and it is the constant beat of the shamanic samba drum that creates altered states of consciousness, amongst several theories seeking the origin of the word ‘samba’ suggesting it from one of the African languages ‘sembe’ meaning ‘Divine Mother’. So far both BPC and Tibet are sharing commonalities and another is that the Buddha himself was a native of the ancient Shakya Republic in the Himalayan foothills, and ‘Shakya’ courtesy of the Mother Tongue phonetics can be pronounced as ‘Sky’, for it was BPC’s epic flight through the Isle of Skye escaping his pursuers, that is the most remembered episode after the defeat at Culloden. 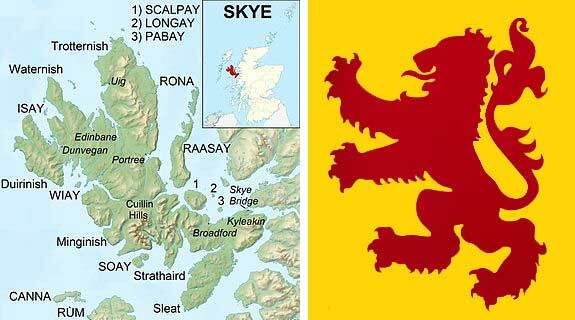 Curiously, if you take a look at the Isle of Skye, you will see its own outline is without mistake that of the Lion Rampant, the Royal Emblem of Scotland! However, the most marked of the common denominators in both the Dalai Lama and BPC’s respective escape and exile is that in the title of both pursuing agencies we see the same word ‘Han’. In Charlie’s case he was opposed by the German Royal Dynasty the House of Hanover, and the Dalai Lama was ousted by the dominant ethnic group in China, the Han Chinese. Significantly, as we will see later, ‘Hanoverian’ contains the word ‘ovary’, the ovum producing female reproductive organ. With these initial synchronicities out of the way we can now concentrate on a deeper understanding concerning reincarnation and to do so we must enlarge the microcosm to the macrocosm and consider viewing our humble station of occupancy upon the totality of the planetary body, our earth, in proportionate and Theosophical fashion, that of cells within a body. When a planetary cell (human individual) belonging to a specific area of the cosmic biological internal recognises its own, it will bond immediately, and this may well explain the phenomenon of those experiencing the chemical ‘love at first sight’. As I have hoped to persuade in earlier essays that the earth is a living and conscious body and network upon which our own human body is a duplicate, then let us consider ourselves in a biological sense, for our role whilst having an earthly experience is to enact the role of cells functioning in a body When a planetary cell (human individual) belonging to a specific zone of the cosmic biological internal recognises its own, it will bond immediately, and this may well explain the instances of people experiencing the chemical ‘love at first sight’. Likewise, cells who may be antagonistic to each other – healthy cells meeting with bad bacteria – will fight each other. In human biology, cells vary in life span. In the intestinal lining, cells die after about 36 hours, white blood cells after 13 days and red blood cells nine times longer. Nerve cells may live for a century even. 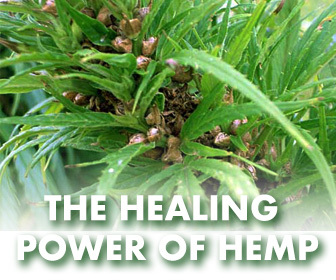 It is the regeneration of replenishment of these cells that are the true reincarnation, misunderstood and thought to be ‘past lives’. Biologically, cells composing skin and the blood return by undergoing division approximately between every 10-30 hours, whilst the reproduction and re-emergence of some muscle cells takes place every few years. Added to this and the thought that we may have lived a past life is my belief that there is a mechanism in Nature that ‘clones’ births from prior living personalities that have gone before and expired, much like products issued from a factory conveyor belt, a cloning system in nature. Today, our own scientists are making leeway in all manners of cloning experiments. From this, we can regularly spot doubles in the past with present day personalities. 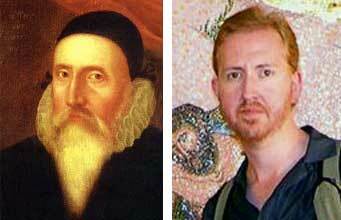 Having worked alongside film maker Philip Gardiner on my own movie-docu I recognised his uncanny likeness to the Elizabethan scientist, magician and alchemist John Dee. During the 90’s I acquainted with a man in Northern England who, having a puzzling passion for Italian furniture, is the absolute double of Italian philosopher Benedetto Croce and when we showed a photo of Croce to this man’s own father and asked him who it was he replied, ’Why, it’s you of course…where did you get that from? ’ Another example is a step son of mine, living in Sheffield, is the double of Piero Medici, 15th century Gran Maestro of Florence. The most amazing doppelganger and quantum entanglement concerns that of my wife whose high functioning Asperger Syndrome makes her capable of wonderful cosmic dissertations, she having conveyed to me the lost Mother Tongue, and who in 1991 innocently ‘fell’ into a picture of Russian mystic Madame Blavatsky on the 100th anniversary of her death, followed by a flood of Blavatsky memories. She then began to study Blavatsky and like myself with BPC saw astounding parallels in her own life, as well as her now having her facial semblance. Blavatsky was born Helena Von Hahn, thus connecting me with ‘Han’ yet again, and having married Russian General Blavatsky at the age of 17 became an escapee herself, after three months fleeing abroad for ten years all over the world, most significantly in Tibet. As with myself and the Bonnie Prince, my wife views what would be a misconception of a past life as a point in her DNA having synchronicity with a previous historical person’s identity and life, with information being provided by the Collective Unconscious. This means we can be experiencing a ‘past life’ whilst living our own now, concurrently, here all on the same spot and point in time. With this and synchronicity in action, the merging of at least two things into one, similar or even identical thoughts and tendencies may well be evident to those experiencing the quantum entanglement through time-space, adapted to a more modern environment. This cloning system allows some people may be born to a nationality at odds with their general disposition, cultural identity and racial appearance, hence a great many sincerely believing that they have lived before in another part of the world. In fact ‘past lives’ can be lived all in one go, here on one spot as our flawed understanding of the ‘present’ can synchronise with our flawed understanding of the ‘past’ in the flowing Eternal Now with the Collective Unconscious providing information from an individual’s ’past’ personal existence transferring to the ‘present’ entangled incarnation. All quite mind boggling stuff, suggesting that past lives are actually a misunderstood synchronicity. There is a fault in the superstitious belief system of the Tibetan who will say that reincarnation allows for a return into the form of animals, insects, fish, even as plants. What is being misunderstood is that the human brain can carry innately the qualities of these life forms surplus to the usual human presentation. Humans can certainly carry the characteristics of animals, insects, plants in their DNA and so will often behave in a manner befitting the additional content rather than reincarnate as the actual thing. Ever met a person who is as stubborn as a mule or a sly as a fox? 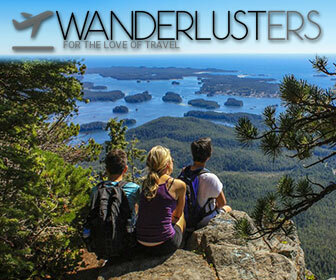 Have you ever wondered why some human have the urge to climb and conquer a mountain and confess they don’t know why? Perhaps they can consider that they contain within their DNA the climbing plant. There is one and only genuine Buddhist rebirth, that of the planet, a spiritual transference to a Star born Child of Mind, and here I often draw comparison to the closing scene in the 1969 seminal Kubrick movie ‘2001 –a Space Odyssey’, an accurate tuning in if ever there were, and a process underway now. A synchronicity that involves BPC’s final defeat at Culloden is revealed when we learn that the battle of Culloden was fought at Drumossie Moor, ‘Drumossie’ revealed by the Mother Tongue to cryptically conceal ‘Mesoderm’, in humans one of the three primary germ cell layers in the early stages of human embryo, or birth. Those of us living on the earth plane now are experiencing a time and phase giving way to great change. We have entered into the ‘death’ cycle of our earth, giving way to a new birth. This death is in the mode of our usual understanding of a decaying physical body passing away, but it is afforded a slightly more illuminating exegesis in the Tibetan opus ‘The Book of the Dead’, the stages referred to here paralleling with the death experience of our Mother globe. 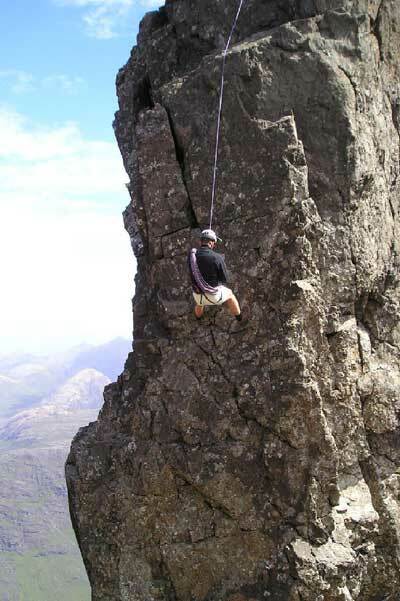 Mountaineer or a climbing plant? This is not an alarmist statement that earth will ‘die’ – surely never – for it will always have the means to adapt to whatever its inhabitants bring upon it; the meaning expressed is that a ‘death’ will occur when a separation from the giver of birth is distinguishable from the born – in that moment of parting we not only have the birth but also the ‘death’. Death, as the Tibetans know it, is the separation of the mind from the body. There is a rapidly evolving new consciousness arising from this planet presently, a new mind and birth-to-be that will separate from the planet earth body as we pass through certain and definite stages of the dying process. As it is with the human frame so it is with the planetary body – there is a gradual loss of consciousness involving each element, of earth, water, fire and air in turn. The dying procedure had long been described vividly in Tibetan Tantric texts, going to lengths to explain how first the earth element sinks, dissolving into the water element, water sinking into fire, fire into air and air into consciousness. For some time now we have entered the stage of earth sinking into water as experienced by the influences of increased global rise in sea level as the polar caps melt from Greenhouse Effects of absorption of solar radiation from the earth, its conversion and re-emission in the infra-red, the absorption of the infra-red radiation by atmospheric ozone, water vapour, and carbon dioxide, and the consequent rise in temperature of the atmosphere. Within the planetary body, the implication is that historical battles in the past and present replicate warzones between white blood cells (Jacobites wore the White Cockade as their emblem) of the body’s immune system fighting off invading pathogens and bacteria harmful to good health. A diseased planetary body that eventually ‘dies’ will ascend to be reborn. And so, my shared definition of reincarnation is complete, and I am freed from the implication that I once was one of the most famous figures in recent history, revealed as a quantum entanglement, this ‘past life’ being a synchronicity, the experience of two events – one in our ‘past’ and the other in our ‘present’ – in our current flawed understanding of linear Time. Finally, I would like to return one more time to our re-occuring ‘Ling’, for there is another word that means rebirth or re-creation, used in philosophy, theology, politics and biology, and that word is ‘Palingenesis’…. Pa LING enesis. In biology it is also another word for recapitulation. The ‘Theory of Recapitulation’, a hypothesis that has two other titles, the ‘Biogenetic Law’ and ‘Embryological Parallelism’ draws attention to the study of the origin of language, which I would think pleasing to supporters of the lost Mother Tongue! To ‘capitulate, of course,’ is to surrender and give up resistance, and it is to their credit that neither Bonnie Prince Charlie nor the Dalai Lama succumbed. Same name, different email. There seems to be much confusion about reincarnation and how it relates to physics and metaphysics. I will attempt to clarify here and use examples in my own life. Though it will be confusing to many, I believe some will understand. The ancient Egyptians believed in Nuit, infinite living space(not dead empty space). It is easy to imagine how everything is derived from that infinite consciousness. When it divides itself at any point or portion, there is a turning effect, as the white light consciousness(yang, male, positive)pushes through dark light consciousness(yin, female, negative). It’s the spiral effect of creation. We could suppose that energies(which is actually consciousness), including atomic, electromagnetic and superconductive, are in spiral form, despite any false or incomplete theories in modern physics. Since this has been a slave planet for thousands of years, these truths and many others have been deliberately hidden from us, to prevent us from becoming aware enough and powerful enough to free ourselves. Presumably, non of us originated from this planet, as spirit. And we have lived numerous, numerous, numerous lives and existences on this and other worlds and realities. To understand reincarnation better, it would be helpful to understand what a time stream is and how that relates to parallel universes or realities. If we accept that a time stream is a particular spiral arm of a spiral galaxy, composed of spiral atomic energy, with other faster vibrating energies also spiraling through, we can extrapolate from there. We could suppose that these different arms of the same galaxy are parallel realities(“universes”), and that the direction of ‘time’ is outward from the center of any spiral galaxy. A parallel reality close to this one would have similar features. Perhaps in such a parallel reality in a similar time frame(in other words, the same distance from the center of the galaxy and right close to our reality), the South won the American Civil War or a more benevolent version of the Nazis won WWII. Parallel realities would also run perpendicular to those galactic spiral arms, in intervals of time(really distance), perhaps at 20 year intervals for this planet. I suggest 20 year intervals on this planet, because of what allegedly happened during the so called Philadelphia Experiment, August 12, 1943. The Cameron brothers, who jumped off the ship, during the disastrous experiment, hoping to swim ashore for help, instead landed at the secret military base at Montauk Pt., exactly 40 years in the future. Another man, jumping overboard by his loan self, landed exactly 20 years in the future. But why 20 year intervals or any kind of interval? Because you don’t want parallel realities mixing together. When that happens, strange phenomena occur. Between realities, the spiral energy exists. It becomes more active as consciousnesses on the same plane of existence slide through. Can one access between these intervals? An experiment allegedly done in 1963, shortly after President Kennedy’s death, indicates that it is possible. They wanted to find out what really happened and they had a special time chamber, which could be used for a certain type of time travel. They recruited someone who had been in the vicinity of Kennedy’s death. In the time chamber, that person’s consciousness was transferred to his body that existed on the time stream, just before Kennedy’s death. 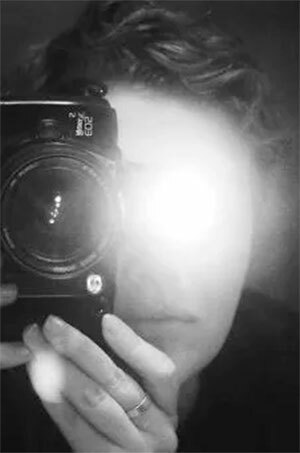 The person had time to buy a camera and photograph the assassination. But even though that person’s consciousness was active between intervals, it doesn’t mean that the other people there between intervals, had an Indwelling consciousness as she did. I indicate she because I found a strange video on the internet in which a strange woman was photographed running around the assassination site taking photographs. No one knew who she was or where she came from, except perhaps those involved with the experiment at Brookhaven Labs. The pictures taken by their time traveler(presumably the woman)were dropped off at a certain location and retrieved later, after the person’s consciousness was returned to their body in Brookhaven Labs. The personnel from Brookhaven retrieved the photographs and showed them to high level federal government officials. The photographs and all duplicates were taken by those government officials and the people involved with the experiment were told to never speak of it again. In my own life I have numerous indications of other lifetimes for myself and others. Intuition, synchronicity and probability seem to connect myself and others to the American Civil War, certain American presidents, the Trojan War, other historical and Biblical characters, the 144,000 who came to Earth on a rescue mission, from the planet Venus, with Sanat Kumara and even alleged science fiction characters, like those of the 6 book Dune series, by Frank Herbert. I also believe that I was a British secret agent in my last lifetime, killed by fellow agents in early December, 1941, because I opposed the false flag operation of Pearl Harbor and did what I could to let American agents know what was going on. In other words, both Churchill and Roosevelt knew that the Japanese fleet was headed for Pearl Harbor. In collusion, they enabled the attack to occur and did nothing to stop it. I even had a dream recently, in which a man enters his office of work and is shot through the throat by a co-worker wielding a pistol. The man stares at his attacker for a minute or less, then turns to walk away, as another co-worker finishes him off with a shotgun. I came to the conclusion that I ended my last lifetime that way. Several years ago a psychic friend suggested that I had been a British secret agent in my last lifetime, that I had been involved with top secrets and a man named L. Ron Hubbard, and that I may have been murdered in 1941. I noticed at the time that I was writing some English words with the British rather than American spelling. I checked with Scientology sources and found out that Hubbard had indeed been involved with British secret agents at that time. That’s probably where he got the nickname Flash. Because with his red hair and youthful exuberance, he reminded me of Flash Gordon. Then in this lifetime, decades ago, taking courses in Scientology, I was still referring to him as Flash in a letter I wrote him, because I was still thinking of Flash Gordon. I found out later from a Scientology staff member that it actually had been his nickname. Curiously, Hubbard wrote in the introduction of Have You Lived Before This Life?, that they once had a Scientologist who claimed to be James Bowie in a previous lifetime and they found it to be true. I read that about 1979. In 1970 I had read The Iron Mistress, a book about James Bowie and had the intuitive feeling that I was reading about myself. And by the way, apparently there was a man named James Bond who was an illustrator of birds and Ian Fleming had a copy of James Bond’s book about birds on his desk. All this data came together when I read the book OP JB, by former British secret agent Christopher Creighton. OP JB was Operation James Bond, in which British agents and commandos secretly parachuted into Nazi Germany in the dead of night, near the end of WWII, to contact and hopefully extract Martin Bormann, before he could disappear or be killed or captured by the Russians. They extracted him and gave him a secret identity in exchange for getting information about where the billions in stolen Nazi loot was hidden. As Hitler’s personal secretary, he would know. The similarity in names of James Bond, James Bowie and John James Audubon(a personal friend of James Bowie, who was also an illustrator of birds), is very odd. I don’t understand the significance yet. My younger brother’s birthday just happens to be March 7th, the day after the last day of the battle of the Alamo, in which James Bowie and others died. I visited the Alamo in San Antonio, Texas, years ago and found a picture postcard of a participant named Bonham, that reminded me of my younger brother. My younger brother and I were talking recently about how my older brother and I had always fought each other while growing up. As a little kid he had been afraid we’d kill each other. It finally dawned on me that a similar relationship existed between James Bowie and Buck Travis, leaders in the defense of the Alamo. Even though they had been on the same side, they had almost been ready to get in a duel and kill each other. Instead, they made their peace and fought together against the enemy. When I was 3, my 5 years old brother came down the stairs with what looked like a long bladed Bowie knife. He attacked me with it and I held his knife wrist with both hands, elbows locked, so he couldn’t kill me. I felt sorrowful that he might kill me and everyone would be so sad. But I was determined to stop him. Finally, my mother came down the stairs and took the rubber knife away from him. He had only been playing a game. Over the years after that I fought him, until he was a freshman high schooler and I an 8th grader. I had him down and I bounced his head off the curb a few times. But then I realized that I didn’t really want to hurt him and that I would never fight him again. I let him go. It seemed like after that he stopped saying things to make me angry. Then when I was a freshman in high school, we were in the same biology class, in a subject my brother had flunked the year before. We actually studied together to pass an important Biology exam, which my mother found to be most unusual. I suppose I could go into other lifetimes and extrapolate from there, how other people are connected to me through obvious repetitive patterns, but it’s too much to write. The important point I’m making here is that karmic patterns are very repetitive. Negative patterns contain negative emotion, pain, death and destruction. In overcoming our negative emotions we are transforming and ridding ourselves of that evil and vise versa. Dan, it sounds like a slight misconception about simultaneous lifetimes. That is only part of what is happening. From the perspective of your larger, higher, oversoul, Christ self, you can be considered to be living numerous, simultaneously lifetimes in the past, present and future parts of time streams. But when you leave this lifetime and reincarnate in your next lifetime. you’ll be living a lifetime that numerous versions of your higher self have already lived, but not exactly the way they lived it. In other words, another consciousness, also part of your higher self, is living your future lifetime right now, in the future part of your time stream. Also, when you leave this embodiment, the lifetime you just left behind, will be intact within the time stream, from beginning to end of that lifetime, for the next version of your higher self, who’s ready to live that lifetime. And he won’t live that lifetime exactly as you did. 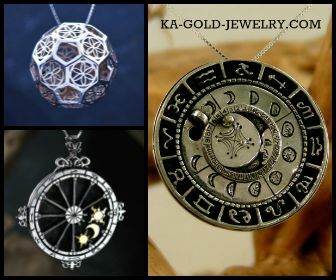 To get a better idea of these concepts, I suggest that you study what is truly meant by the terms; time stream, time travel and parallel universes. Meanwhile, as all this occurs, your small self, all your small counterparts, your higher, larger self and the time streams themselves are all evolving and changing. Dan Reincarnation is not rebirth. Re-in-carnation is when your soul enters the same vessel it departed from when a person ceased to have the breath of life. A soul can only enter back into the same vessel it came from. However long that takes. I know I am more than cells of a biological nature. I am spiritual and soul besides a physical being here on Mother earth. My earthly mother and father is where I came from. Re-in-carnation: RE-IN-CARNATION [Symbol of Mother earths undying love, flower of the Gods.] “Theres nothing new under the sun”. We,ve all been here several times before. God created the animals , insects, fish, plants. They didn’t create us. I was birthed when my earthly mothers water broke and I breathed my first breath of life. I didn’t die, I lived. If I’m not mistaken, at the end of your article you call Rebirth, Re-creation., not Re-in-carnation. With all the questions you all have it would seem that you all would be reading the bible more. Mainly the red lettered King James Version of Jesus’s scripture in the New Testament, the red letterred words that he spoke. Very sad day today. My friend Lama Akong Rinpoche was murdered yesterday in China. He was 73. He was an authentic great Lama and a good man. Wow! I hope we all could take a step back and draw some perspectives. I see each person trying to get insight into a collection or volume of recorded thoughts drawn from many people and in many years if not decades or centuries. If catalogs of “OTHER” thoughts through time were also collected at the same time then there could be a good comparison. Oral traditions are also recorded in the process. Are they still considered oral? Reincarnation could be considered plagiarisation at another level. Is reincarnation intentional? Whose intention? If all events were recorded with all honesty and each reincarnated levels could will not to repeat the past, what would be next? As it is the reincarnated creatures have been progressing from an individual killing another to the clan of one patriarch killing another clan and it is getting bigger as time progresses. As always we see the usual suspects. The same desires totally controlled by their gods, the gods through the ages. That is reincarnation at our level. The language connections, do you think there is some reference back to the time when the whole world had one language? Genesis 11, 1-9 ? The Enochian Language, the language used by the Angels? The Tibet connection, thanks for the leads, a few people have pointed me to this and Iv’e not followed them up. 1, Does the Soul have two elements, which upon death separate themselves? firstly the the bodily, the DNA which goes into the infrastructure of the Earth and secondly the Light which ascends? 2, Could there be information about the person who physically died being stored in both these elements? 3, When the Light ascends with information about how that person lived their life, does it pass through seven judgements? 4, If the Light fails any one of these judgements, could it be that the Light is returned to Earth to form with some DNA, a new life? 5, Could it be that, if the Light passes all the judgements it joins the Light of the Universe, the ALL, the Holy Spirit, the Lord God? 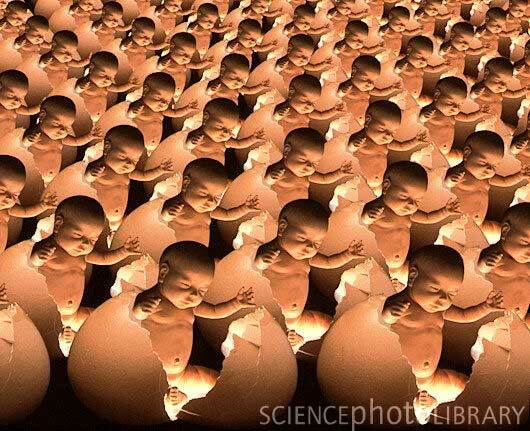 6, Is it possible that if that Light joins the DNA of a previous human life, there is some memory of that previous life? 7, If that Light joins the DNA of the same person, could it be that there could be physical similarities as well as memories? Some great notions there, Penn. Ok..I will say that as far as I do know, alphabet is Mind and that includes acroynms. Alphabet is Mind = AIM, a purpose or outcome, goal, target. Reincarnation beyond this life will occur in the Now. All is Mind . AIM, reverse MIA (Maya) Illusion. Tell me Dan, was your conscious mind was the same in your pass reincarnations. Your mind the same as today? This is a question that as 2 possible answers, the third one would be; I dont know!!! So, I will suppose that you say; yes it was the same. My answer would be; then why you have to reincarnated? And if the answer was no. Then my answer would be; Why your spirit have to come in another body? If you didn’t accomplish yourself in your first life, and for that you have to what is the REAL reason of our presence on this Earth, why reincarnate? I don’t know if you will understand well what I mean for the last question. Suppose that you have reincarnated 8 times, by the way, that tell me that you had 8 body’s, 8 souls, 8 spirits, the question is; witch body, soul and spirit you will choose? will you reincarnate forever, or will you do a mix of different reincarnation to obtain what is the most perfect at your eyes, or in the eyes of Buddha? who gonna give you eternel life? What will we do when we have eternel life? Nirvana forever, like a big trip of LSD. What you say it hard to believe, incomplete, and illogical. Why? First of all, the Earth is not alive, it may be for you, but it defied the REASON, LOGIC, like all you have said. The Earth is like a big dynamo, it produce electric currant, and by and effect that scientist understand, this electricity produce magnetism. So the Earth is a producer of electromagnetism that can filter and retain a certain amount of ions in the upper atmosphere. It may look alive in a certain manner, but the Earth have not conscious that we humans have. My computer may appear to be alive in a certain way, but it is not. Car are not alive, but sometime peoples act like if the car was alive, did you ever heard a person tell you; sometime I wonder if my car understand me. Yes, I know, his not serious, but somme supertitious mind, act like so. Your car does not stay on the road, many time you are in the field, excuse my frankness, but an apple is an apple to me, not something that is near, or that appear like a wagon in the great west appear to turn backward when it reach a certain speed. The human cells possesse memories that are anchor in the soul of the body (blood), and then the spirit that are in the soul is free, automaticly your mind fall in “deep sleep”, exactly in the same manner that when you go to bed, the only exception, you dont dream. They say that the cat have 9 lives, well, we have 9 lives too, except that 8 decay, burn, desolve, choose the word that you like, and the reason that we are not immortal, this is because the spirit of the body is not perfect he cannaot retain eternal life, his not made for this purpose. Look the Pyramids of Giza, you will see the pattern of our life on those 9 angles. I beguin to be tired of say the same hole things after and after. I think I will write and articles to keep in my documents, so when the subject return, I will have only to copy/paste, I am so tired to repeat myself that I have lost certails details that reinforce what I,m saying. All I can assert is that I know I AM, both Now and Now elsewhere…sometimes I am connected with myself elsewhere in what we would prefer to call the Future, but it is the Now. I am living past lives Now all at once on the Spot and I spot myself when I can. Consciousness is Everywhere, and there is Only Mind. A soul can only go back into the vessel it came from. And you don’t have to have a brain to love. You need a heart. I do firmly believe in reincarnation which is more clearly written and followed by Hindus, though Buddhism also clearly teach the same, but we find confusion when Buddhism says that there is reincarnation but no soul. We humans have got three bodies, physical, astral(subtle) and causal, each within the other. As per both religions and also other, Karma (universal law of action-cause-effect) and reincarnation go hand in hand and it is only when man completes karmic debt of physical body and also astral world, he can return to physical earth to enjoy the limited, ever disturbing, chaotic, sense-pleasured life on earth. It is the curse of the God that physical world should suffer from Disease, Old age and Death and no one can win this. This is also scientifically true of Evolution of soul(consciousness) etc., Now, many famous psychiatrists in world are accepting Reincarnation (re – again, incarnate – latin word – in body) and it is only the time-space-consciousness conundrum that happens on this ever changing, pleasing to eye(sense) thru wine, women and wealth means, man comes to this physical world. It’s been a long time that I didn’t read your comments, and like usual you are honest with yourself. Now to begin on this interresting subject, I firmly believe that reincarnation is an illusion like many illusions that are found on this Earth. The facts are there to see, like the Sun and the Moon for an exemple, we both see them with ours owns eyes, but only one of two turn around the Earth. There is a foundation in everything, and human are not an exception. If “life” exist is because “Life” existed before we was created. And this Life that have created life cannot died or decay, this concept is logic, if it were not, God could not exist, neither life, nothing to be short. Now, for the concept of reincarnation, this last is wrong, because the physical corps that we have is form with memories, our entire corps is memories. The concept of reincarnation is an attempt to explain how our spirit experiment the conciousnous of being alive. Well, in my opinion it does not explain anything, on the contrary, this concept brings us more questions that he could deliver answer. For exemple: Why reincarnate? If humain did not comprehend the first time what he was suppose to do on this planet, why he would comprehend on is second journey on this Earth. I could go more deeper in this subject, and I will, I suppose that everyone is here to seek the truth no matter what, I will not retain myself because of other religions, all religions must Died, only the Truth will live forever. Religions are man made, those are teinted by different colors, that’s why we are always trying to see the truth, the Truth is like clear water, no teint of any kind. Idols like statues, some are praying in front of them, what a shame!! Knees down they pray what they dont know. Don’t break my Buddha, don’t break my statue, this is our symbol of ours believes. Who am I to judge religions like this? I am a man that knows that those statues brings superstitious believe in the mind of honest peoples that want to live forever with God. One thing that you can be sure of Charles, is that the “future” exist, the reality is that the “word” future exist, if the future would not exist then, why the word exist? Because the word “future” is not only a part of the logic of the humains on this Earth, but it is part of the “knowledge” of the Mighty God, the one that have created the Univers and all that there in with the Word and by the Word. “The Earth fear Time, but Time fears the Pyramids”. All that exist is in the knowledge of those Pyramids, and in those last, they don’t mention the reincarnation. He (God) had created humanity to bring more life to be Son of God, by the fire they suffer like gold foundry to extract all the dirt out of them. Why all those suffering? Because we can feel joy, we can be happy, we can learn. But we have to take (like the Bible said) the very Best, why? Because God want us to be happy by having what is the Best in everything. When we were in the land of Canaan, we were bless by the Mighty God, a grape of raisin had to be transport by 2 persons, this as really happen, our knowledge of agriculture of today can prove what I’m saying. Now that we are at the border of is return (Jesus), take the Best, take the Truth, and the truth is that God is not crazy or cruel, this too is an illusion. Look around you, isn’t the Earth beautiful, the Univers grandiose, remove the humains out of this Earth, ah, the Earth is calm, no shed od blood spread for nothing, only the animal that feed themself. “I was, I am, I come”, this is the past, the present and the future. WHY WE SUFFER? Because JESUS is not there with us. This Jesus knows the FUTURE, because He’s with the Mighty God. It is clear enough? No? Put it this way if you like. Mighty God is the Energy that shine light in Paradise whatever you want to call it, were God almighty live forever and ever. Don’t spare other religions if you know the Truth, if they don’t accept the Truth, well, they don’t deserve to know the Truth, and if they don’t deserve it, might as well throw away their religions, beside, their religions don’t explain everything. Take the Best of the Science, take also the Best of the Truth, those 2 goes well together. You did not understand the concept of idol worship at all. You reject it because your book says so. In the absence of your loved ones, you keep a picture or some thing related to them and you imagine their presence. That gives you some satisfaction. Now if someone comes and tell you that “You are a fool. That is just piece of paper.” What you would say is “It is not important what it is outside. But It is important that helps me remember my loved ones intensely. So it does’t matter if that is a piece of paper.” He might question “Can you not remember them without these things? Is your love so weak?”. Answer is “Yes I can feel their presence better this way. What’s the wrong with it. When your loved ones actually with you dont spend time with the photo. So similarly in Hinduism idol worship is helpful in the initial stages to remember God more intensely. Later he is advances, he no longer require that support. In fact even Christians and Muslims too use external symbols. Why do you keep cross every where and pray in front of it? Why many churches keep painting of Jesus? Why Muslims wear the 786 number? These things help them better. So they are doing it. If you are thinking that only my religion is the true one and rest of them are going to hell, I pity you. When one of Christian friend told me that mother Theresa is going to hell because she is catholic, I was shocked. What a narrow mindedness. If she goes to hell, why do we even bother about God. Your question on reincarnation about why do we need a second time. 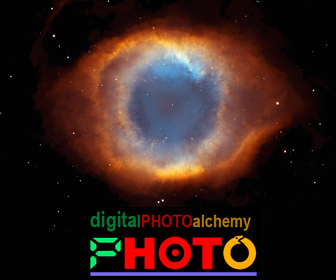 You have very idealistic view of reincarnation where you are free to choose what you want. It’s not like that. We are in a forced situation because of karma. Unless we break it we can not get out of this cycle. In Christianity they talk about original sin so much. What is original sin? Is that committed by Adam & Eve? If it is, why I am punished for their mistake? Any sane person would reject that. Original sin is nothing but all the sins we committed in previous lives. If you read about original sin in this context, you will be able to understand better. You have the original sin and sin of this life and all of this burden on you. By your own effort it is very difficult to get rid of because we keep accumulating it. That is why Jesus says I will forgive you all of that if you have a change of heart. It is the same thing that taught in Bhagavad gita and Qoran ( I read that). So this is the essence of all religions to take shelter of God and lead a good life. Some say in bible originally there was concept of reincarnation. Some say no to it. In Quran there are some verses like “Allah brings them back to life”. Some say they refer to reincarnation and others say it is talking about heavenly life. It does not really matter. Whichever religion you like you follow it sincerely. Simply arguing about who is better are only done to satisfy your ego. Not for the sake of truth. The truth is that all of them are true. There are just different paths to the same destination. If everyone realizes this world will be a much better place. I do understand idol worship, I have seen many peoples that was enchain by their idols, specially my mother in law, she was Catholic and she always have in her house statues here and there. I was staying in a chamber in is house, I rent her the chamber, I had discutions with her about the fact that she want to place a cross in my chamber. She was a little upset about this fact, so I explained to her why I didn’t want her to put a cross or an image, for that I gave her an exemple. In her car she had an idol to protect her from accident, my point was that if we believe in God, we don’t need an to do the job, so far, I hope you understand me well, so I ask her if she believe in God, and she said, yes. So then I told her: If you believe in God then give me your idol in your car and go to your work, she didn’t seem to like the idea, so I ask her this question: Be honest with me, and tell me that you’ll be assure like if the idol was there in your car? She answer, no!! Do you understand what I mean? Honestly understand? Now I will tell you something that you can throw away if you like, but remember, I will not know what you really think, but God will know it. If you need an idol to make God closer to your heart or spirit, well that tell me alot on you, you dont really have God in your mind. Now, if I take your idol from you, will you be able to worship God? Be honest. You are Love by the God Almighty Krish, more that your father and mother, you don’t need idol, He know that you respect Him. If you need an idol to remember that He EXIST, you’ll be like a man who need a stick to walk. Don’t forget that this is all tradition, and this last come from man, false worship is worse then no worship, it bring superstitions, divisions, and lead us to ignorance and frustrations because we dont “walk with God”, God is LOVE, so we must love God and our neighbors, God is light, and light is oppose to darkness, because light is knowledge of God, knowing Him is to be like Him, walk with Him, and wake with Him is to Love everything that His Hand have Touch. You are my brother Krish because we came from the same root, and even if we dont have the same root, we have the same God that created the Univers and all what’s in it. Dont follow the Tradition, follow what is True, that’s all that you need to know and do. In the Bible, there is no reference to reincarnation, more then that, the Bible is oppose to this illogical believe. Another thing, I am oppose to all religions that as existed, that exist, and that will exist other then the Truth. If you want to know what is the Truth, this last is “Logic”. (Logos in the Bible, and it’s the base of our word Logic, and this word is Reason too, those are the same) The Real God is Logic Krish, look around you and you will see what Logic as done, isn’t that magnificient? Does your senses tell you that all that is very good, I dont speak of those who make war, or crime, I speak about Nature and the Univers, isn’t that Amazing? This is what have done for us. I have reject all the religions because they all contains errors, here I dont talk about sacred book, I talk about those who have neglect the Truth and replace it by superstitions, nonsense, illogical dogma, false worshiping. We need to go in the center of true Logic, the Logic that dont contradict himself, the Logic that contruct our mind and soul. For me, for now and forever my religion is the Truth, I will not accept religion other then the true Religion, because the Truth is the only Religion that exist. I dont know when you said Logic in bible. There are many things illogical there too. I am not just saying that about bible alone, But all religions including myne has them. You say something false, based on your book. I did’t get the idea behind your car-idol story. Are you saying that just because she was having an idol in car, the idol should protect you. I don’t that work that way. Can you say the samething with prayer? Just because you pray to God, you dont have to anything and everything he takes care. If you cant say that may be you should stop praying. If she remembers Jesus and prays to him when she gets into the car, the purpose of keeping that idol is achieved. As I said earlier if you are such great devotee that you always remember Jesus, you dont need any idols. God is present everywhere and in everything. But we can see him everywhere. So there is nothing wrong in seeing God in a statue. Dont think that you are worshiping the statue. You are still praying to God. The statue is helping someone to better concentrate on God. Please understand that relationship with God is within heart. These thing help you to make that relation strong. There is nothing wrong in accepting that. God knows you pray to him while doing idol worship. I will give you one simple example. You are worshiping Jesus Christ. But is that his name? But his real name is Yeshua. But when you call “Jesus Jesus”, Will he think “Oh. no he is not calling me”. No he knows what your intention is because God is present in everyone’s heart. So I request you giveup this critical attitude. If dont like to something that is upto you. There are many ways to worship God like idol worship, prayer, chanting holy names, meditation, social service etc. Anybody can do anything they like. May be one thing is better than another thing. But for that person whatever he likes is the best thing. There is a statement in Bhagavatam which states that “By any means one should remember God.” If idol worship helps someone to remember God you dont have to stop them. Remember jews used to worship ten commandment tablets. Is that wrong? Please, dont play the innocent with me, what I have said is clear enough for you to understand, but in case in didn’t make the idea enough clear, I will repeat so you can understand. An idol is a trap for your spirit, by accordind to the statue a respect that this statue doesn’t need, this way you place your spirit in a respect of something that IS MATERIAL, a statue is clay, and a man made it, the living Spirit of God is not in the Statue. This statue that is considered by God to be an idol, is made by a man that have work the clay or wood. God is not MATERIAL, He is Spirit. When your statue will be dirty by touch it with your and, not because your hand is dirty, but because your hand have humidity on acid that will dirty your statue. When your Statue will be old enough, were you will put it? In the garbage? My step mother even she was praying didn’t like the idea of taking is car without the statue in her car. This is due to the fact that our spirit tend to associate the God that we honnor with the statue, this is a false believe. Beside if you are somewhere who there is no statue of your God, do you think that I will ear your prayer? Yes, I will, so if He ear you, then why a statue, you dont need it. Beside, those who make those statue make profit on your back, are you rich? Poor? You dont have a statue, you pray in a place were there is one. If your statue is not beautiful like the a deluxe statue will you be jealous of your rich neighbor? If you play the innocent, it is better not to respond. Another thing. I knew that idol was wrong before I knew the Bible. I knew that reincarnation was not true before I knew the Bible. This is just a question of “LOGIC”. When your spirit as you question, you try to found the answer, by searching the logic in a subject, habitually you found an answer. I have no statue or image, not even a simple cross, nothing around my neck, no idol of any kind, my God is in my heart, NOT IN A STATUE, I dont need one to thanks my God for all the things that I have like food, clothings, and knowledge of Him. Jews don’t worship the Tablets, they worship God and is ten Commandemants. God is not everywhere, He is in Heaven. Beside if He were everywhere you would step on Him when you walk on the ground with dirty feet beacause you have feed the pigs. God is in the soul of the Saint(s). When Jews worship tablet, It is God they are worshiping. But when others worship any iconic representation they are sinning. Stop these double standards. If God is in heaven, where does he go after the heaven is destroyed. If you read the revelations 21:1 and few other places in old testament, It says that old heaven and old earth are destroyed. If God himself there in heaven why does that gets destroyed? And I dont know how your spirit gets trapped in stone. That does’t seem to very logical things. Idols are like a bill boards. Everyone knows billboards are not same as the product they are advertising. But they are useful in making us think about real thing. I don’t see anything wrong there. You did not put any logical reasoning on why it is wrong. What’s the wrong with being man made. Bible is man made at least the printed book. They make business out of it. So what? If God is not everywhere and everything, He is limited. He can not be God. Being touched by the feet, what’s wrong? Even your body is not yours. That is part of the nature which is part of God. Nothing is independent of God. These purity/impurity are the conceptions of your mind. You can not impose them on God. Even according to Science, various distinctions of matter is useless because ultimately everything is manifestation of energy transformed into matter. My feet and earth are really the same energy. So there is no question of dishonoring God there. I think you are not trying to do healthy debate, But simply trying to push your agenda here. So if you want to reply, you could. I see no point in reading it. So don’t expect me to read it or reply it. It is interesting to note that I had few dreams or notions (not too many though) that became reality within few days. I am also afraid that one such dream should never be reality. But time frame for that dream is during 2016. I wish it never happens. If reincarnation is not present, foundation of all the religions will break apart. We can explain why the kind God allows suffering in this world. And it can not not explain why some people are given opportunity to follow any so called true religion, while many other people not even heard of that religion. So without reincarnation, if God must exist, he must be either crazy or cruel. Either of possibility makes worshiping such a God worthless. But to understand reincarnation, it is not Buddhism but Hinduism you need to study. I am not trying to fanatic. But Buddhism does not accept the existence of a soul. Without the existence of soul, who is reincarnating here. It does not makes sense. Their concept of reincarnation is something like acceptance your ideology by a random person. If you could find a person, who could think like you respond like you, It is the reincarnation. I never understand that. If someone clarify that I would be happy to listen. Bhagadgita gives the example that this body is like a shirt and soul is like the body. Like we remove a shirt and wear another shirt, similarly soul changes bodies. But we dont call someone else wearing my shirt as reincarnation. Unfortunately that is what Buddha calls as reincarnation. We can **NOT** explain why the kind God allows suffering in this world. If someone **CAN** clarify that I would be happy to listen. Our soul, or spirit, is unique and “reincarns” in different phisical corps in order to learn more things and develop itself. That’s what teaches Allan Kardec in their 5 books. Take a look! I was talking about traditional religions. Yes. I am aware of the recent philosophers who explored this possibility. Agreed Hinduism speaks to reincarnation more succinctly than Buddhism. I only mentioned Buddhism to stay within the scope of this blog… however the questions I raised are still the same regardless of which religious belief we want to ponder or discuss. With the follow up question with regards to your statement… how can we possibly know that we’ve lived other lives, (experienced life cycles through other creatures), without having conscious memories of those lives? While at the same time, how can we even begin to know that is true if the experiences of such memories are limited to only a few souls? I have zero memories of past lives, and I only know one person who believes they’ve lived another existence because of memories. However I have met many who believe they’ve lived other life cycles though they have no memory of them. The whole concept of reincarnation seems to be trapped within circular logic, except in those extremely rare occurrences where young children have memories of past experiences (a life they might have lived) that they couldn’t possibly have learned. While my other question is, why does everyone want to blame God for the way we perceive reality, (or what we’ve been trained to believe) and what must or must not equal a valid description of what equals life after death? I’ve read countless descriptions of people being clinically dead who experiencing something, some good some bad, yet my hangup is they are not all the same. The same is true for different areas of Asia Minor and how the stories that surround reincarnation varies wildly. I know from my own experiences it is possible to see future events, yet I have no idea how its possible, nor do I have any idea what its supposed to mean. Its seems the more questions I find answers too, the more questions I have and the more difficult finding answers to those “deeper” questions become. You see I don’t want to believe in anything, I want to know or at the very least I want to find a way to bring all these varying accounts together to equal a single truth. BTW, I have some serious hangups with Hinduism… the caste system/level within that religion seems down right cruel and humanely evil, let alone it also appears to be a living contradiction… However, I honestly don’t feel comfortable stating anything other than generic issues I see within other religions because of how messed up my own forced (childhood) faith is. Yet I am sooo open to listening to someone explain from their own experience why they believe reincarnation must be true. Every religion allowed cruel things because of the social circumstances they are in. Allowing slaves in other popular religions is also cruelty. It it not? If you say they just documented things that are there at that time, Is that still not the case with Hinduism. First of all Hinduism is a recent word. There are many streams of ideas that are present in Hinduism that got branded as Hinduism recently. But what is original thing what is later thing very difficult to say. For example Bhagavad gita tells us to treat a brahman and an outcast person equally. But still there are other books like Manu’s book that discriminates them. These are later books and they never had recognition until people started criticizing them recently. I am supporting caste system. But that is not everything. caste system in present form is not in Hinduism. It was called varnas (only 4 classes). Out of that Brahmins, Vaisyas and Kings are minority in the current society and it is only gradation in the Sudra class of people that is creating problem in India. sub-caste is never talked about in Hindu scriptures. So how is it fair to blame Hinduism for the current situation. I would only think economic disparity as the cause of this discrimination. I am from sudra caste. I am allowed to go to temple. Why not people from another sudra caste. Hindu scriptures did not talk about that. I see religion as a knowledge that flows down like rain. As rain water gets dirty depending on where it falls, even religion gets dirty based on it’s adapters. But as long as we have the ability to separate clean truth from this dirt we could continue using it. Why someone believes reincarnation true? It is difficult to provide conclusive evidence. Pastlife memories, past life regression, NDE’s OBE’s can convince some people. While others might invent some explanation for them and they are not convinced. Same thing true for the existence of God. Some believe some dont. I believe God. I see his miracles all around us in the form of life. Can darwyn theory fully explain everything? No. Take simple example. Without the ability to reproduce, life can not reproduce and Darwyn theory fails there. So reproductive organs must be there in the version 1.0 it self. Now mammals have both male and female counter parts working together to make it possible. How this thing got developed in one or few generations? That too we have 2 independent male and female parts randomly mutated to generate mutually complementing parts. Is it possible? Can any sane man believe this story that somehow we developed these things? Without these male and female parts mammals could have extinct in first generation itself. Darwyn may be still correct about the order which evolved. But I believe this entire universe was designed to be this way at the time of big bang it self. Just like a seed has complete blue print of the tree, the progression of this universe is hidden in the seed form and it is getting manifested slowly. Based on cause and effect, If you know a system completely at present, You can predict its next state. Weather prediction is an example. Because we have limited knowledge of the system, we could only predict some extent. If you have complete knowledge of the all the forces acting in the universe, given current state you can predict future/rebuild past. CURRENT STATE + CURRENT EVENTS = NEXT STATE. Out of this events could be changed by conscious beings to extent. But otherthan that these events also consequence of current state. So until modern human being started controlling nature, it can be safely assumed that we are forced to evolve this as per some intelligent design. I said all this long thing to establish that there is intelligent design behind all the creation and evolution thereby establishing that existence of God is only logical explanation for this creation. Now assuming that God exist and God is good (why? I dont know). God created us. Then he did not create us all equal? Did he just created like that or is there a cause and effect reason behind it? Is that cause me or someone else. If someone else decides my birth and if that is bad, it’s not fair. How could God allow such thing to happen? Then if the God is good, then I had to blame myself for my condition. But I dont even exist before my birth. So may be I exist before birth and the actions I did caused my current state. That means I lived before birth as life means existence. This is one logical chain to think about it. But as I said there is no concrete proof for anything. If one does believe reincarnation it does not really matter. If God wants you to believe it, It is his responsibility to provide more details on it right. Just follow whatever religion you like with sincere heart. You will be successful there. That is what Bhagavad gita tells. “Everyone should perform their own duties, even if it not the best thing. It is better to follow your thing than following the best thing in a best way.” You dont take your brothers medicine because it is better taste. Even if it is bitter take your own medicine because we all are different and each of us need a different medicine. Mind rides the Light. Mind is the utility of being and becoming. It has always been and will ever be. It manifests in physicality within soulular traveling holospirtedly beyond personality as a means of deified exponentiality toward initiation. Each entity is responsible for the karmic conditions that ascend in the course of existence. Entities are all aspects of the deified broadcast of this holographic-like expression known as life. Not that one is, but THAT whereby Is,is. It is the THAT, that we must come to understand when considering the deepness of reincarnation. Interesting blog… for me I struggle with the concept of reincarnation, let alone I believe after reading many philosophical writings within Buddhism that the doctrine of finding a reincarnated Dalai Lama is the worst thing that could’ve happened to Buddhism. I would explain that more, yet I don’t feel comfortable arguing against any other belief system when the one I raised to believe in is so messed up, and is in my opinion, completely against the true teaching of Jesus Christ. To get back on point, my problem with the concept of reincarnation is, it always pushes everything to some distant past or some unknown future event… There is a case of a young boy, I believe the child was three years old, who had memories of being a fighter pilot in World War 2. This child knew the name of the planes, almost all the parts that made up the fighter planes engines and he knew many of the squadrons co-pilots names… let alone the commanders name and two bases the squadron was based out of during that war. Plus there is General Patton, he firmly believed he had been reincarnated several times, let alone he was quoted as saying (or was it he wrote it down) in his early teens that he was born to lead an army against overwhelming odds and that he would be victorious. I mention all of that because for me there is evidence that reincarnation must be true, or… or perhaps somehow memories of some lives lingers within the ether and lands on unsuspecting souls? Even though there is strong evidence to suggest reincarnation is possible, I wonder, I mean I seriously wonder, if the lives we are living right now haven’t already been lived once, or a hundred or even thousands upon thousands of times before? I say that because of how many visions I’ve had of my life, that when I had those dreams they hadn’t happened yet… and when they finally did happen they happened exactly as they were shown until I change how they ended. At this moment in my life I actually live in tentative fear of an event that hasn’t happened yet… one that I continuously watch out for, looking for clues I saw within my dream here in the real world… because I plan to do everything I can to prevent that dream from becoming a reality. YET how is that possible? How can I or anyone for that matter see events before they happen? Is time flowing in both directions at the same time, or is time recycling? Meaning do we have memories of the last time we lived the lives we are living now? Is there some kinds of cosmic hand/finger touching our minds as we sleep, or do our brains change frequency from time to time while we’re sleeping that allows us to see future events? Either way once you take away all the hyperbole the question always seems to be the same… is the past present and future happening (recycling) at exactly the same time. Yet even the answer to that question seems impossible to believe let alone consider in any meaningful way… which might explain why first it was the church and now (in our day) science continues to demand reincarnation and/or seeing the future is not real/possible. However if time travel is possible within the vibrational aspects of our minds, then that suggests it might be possible within the physical. BUT not in any of the ways we’ve been led to believe inside movies… because in order for mankind to physically move within the realms of time we would need to know not only know where our planet will be in the future, or where it was in the past… we would also need to know where our galaxy was or will be in the future/past. Which means we still have a lot to learn regarding the truth of our existence/reality. Yet if you agree with me, that what has happened to me is true, (being able to see future events before they happen) than that means many of us or all of us are born with this ability… which demands nature/god has provided us with the ability to save ourselves from repeating the same mistakes we’ve made the last time we’ve lived these same lives… or perhaps does it demand/suggest the god of this universe is trying to prevent some of us from making horrible mistakes within our current lives? Yet for me… to even consider any of these things being possible makes my head hurt, yet what other truth could there be? I mean are we shown future events of our lives and/or worldly events to help prevent the negative effects of the Human/Butterfly Effect? ie… To help save mankind from itself, or… are some of us having memories of the last time(s) we lived the very lives we are living now? Every single religion on the planet (alive or dead) believes in reincarnation to one degree or another… yes even Christianity. While at the same time each religion to one degree or another rejects the same possibility… which means for all of collective experiences we are still chasing our tales, half in half out of what equals reality. It truly does boggle the mind how reincarnation is possible, or how being able to see future events could be real, yet the evidence demands somehow both are happening. Each religion has prophecies of some future event, and if you listen to some Christian pastors they believe those prophecies are happening right now… like this guy Billy Crone, https://www.youtube.com/user/NFBCmedia . He goes to great lengths in his attempt to prove people who lived thousands of years ago saw the future (our present day). Yet if my experiences has taught me anything, we are to do everything we can to prevent those prophecies from becoming true. While at the same time, if I’m wrong, I seriously want to know what the hell gives any god the right to punish humanity for any so-called godly injustices(? ), when our written history shows he/it has abandoned this world a long time ago. Yet every time I seek to find out under what right does this god have, I always find myself wondering perhaps we’ve all lived these lives before, and we will continue to do so until we finally succeed in not destroying ourselves… Which has me wondering, is that the answer to understanding reincarnation.. is that the answer to bringing all the religious beliefs together in order to find a single truth? Honestly I don’t know, yet I do believe the truth must be out here, and I hope if I can prevent what I saw from happening, then we can all start to reexamine everything we’ve been forced to believe in regardless of what name we call or reject in the name of god. As always I firmly believe time will reveal the truth.